This week my oldest son Andrew graduated from High School with honours! I am so proud of him and all that he has accomplished. I can’t believe it was 13 years ago that I was taking him to Kindergarten. I was always told how fast these years would go by but until it actually happens it’s hard to really understand the impact that has. I’ve been a teary all week thinking about him reaching this milestone and I’m rarely like that. He was awarded a $1000 bursary for college or university. He plans on staying home this year to work and then continue his education next year. There were 48 students graduating in his class, that is even small for our town. After the diploma and awards ceremony the students do a traditional Grad March out of the arena (where the grad ceremony is being held) and down the towns Main Street. They are lead by a piper and two RCMP officers. After the Grad March the students had a Safe Grad party at the arena so they all ran home to get changed into more casual clothes and partied all night! Andrew got home at 4am and was driven home by parent volunteers, the whole event was very well organized. I was so happy to get a good picture of Andrew and his 3 best friends before they got out of their suits! Before we headed to the grad ceremony I took a few family pictures at home. …he came home a man! So proud of you Andrew! 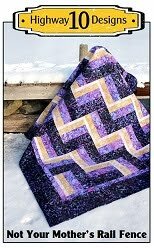 This is Yvonne’s quilt and the pattern is called Glitzy Windows from Pine Tree Country Quilts. It was purchased as a kit ( found here) from Cindy-Rella’s in Regina, SK. The material is Stonehenge White Christmas, that comes in silver and gold by Northcott. 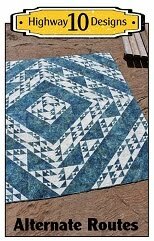 I used a new pantograph called Snow Winds, it was a very large scale design which is great for keeping the quilting light as the backing is a white Minkie. The quilt is made with half gold and half silver fabrics so what do you use for thread? I choose a Superior Threads Highlights #795 which has a metallic shine. It looks really nice on both colors in the quilt and I like to use this thread color when quilting quilts that have a lot of metallics in the fabrics. I took pictures of Yvonne’s quilt at two different times of day and I wanted to show you the difference this can make when taking quilt pictures. This one was taken at 9am when the sun is lower so you get a nice shadow on the quilting, but you don’t see the piecing very well. 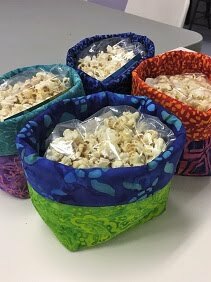 Our guild is donating a quilt to our local SPCA for a fundraiser and we made a Bento Box quilt in animal prints. 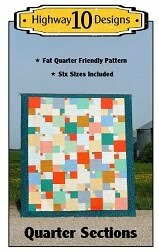 One of my clients made this same quilt last year, you can see it here, and it was the inspiration for this one. I used another new panto called Ebb and Flow . The design works well with the animal prints as it looks like tiger or zebra strips on this quilt. I’m sure this will be a great fundraiser for the SPCA! This is Rae’s Star Light, Star Bright batik quilt and she found the pattern at Prairie Chicks Quilt Shop in Warman, Saskatchewan. I hear their new shop is amazing so if your ever traveling thought Saskatchewan, it’s just north of Saskatoon and a must stop for any quilter. I used the Tickle pantograph, beige So Fine thread, and Quilters Dream Blend batting. I have 3 quilts left to go before I take my summer break. I might have to work on a few of those in July as this week my oldest son is graduating from High School! I just seems like yesterday I was taking him to kindergarten, time flies so fast. The grad ceremony is on Thursday and Tim’s mom is flying up on Wednesday so I’m not sure how much quilting will be going on here this week. Lori and I have a great editor/friend named Eileen that gets out her red pen and checks over our patterns before we publish them. She also tested our Quarter Sections pattern for us and created this adorable baby girl quilt. She used the new Stonehenge Sweethearts 2 fabric collection and I love how all the pinks blend together and then the heart print in the outer border just adds that finishing touch! I used the Hearts in Bloom pantograph, pink So Fine thread and Quilters Dream Blend batting. She also had fabric for the backing from the same fabric line which was perfect for the back. Since this baby size quilt is only 39” wide you don’t need to piece the backing, that was one thing we made sure would work for this size. Thanks for all your help Eileen! This is Debbie’s Chevron quilt that she made for a baby gift. Love the oversized HST blocks arranged in a chevron pattern and the race car border makes this the perfect boy quilt! I used a new panto called Allium, yellow So Fine thread and Quilters Dream Puff batting to make it light and lofty! 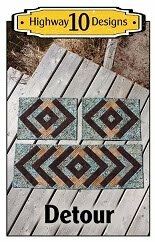 This is Yvonne’s quilt using our Pedal to the Metal pattern. She used a modern fabric collection called Bee My Honey by Mary Jane Butters. 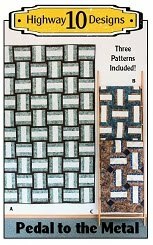 The woven design of the pattern really stands out with the placement of the navy fabric. She is keeping this quilt for herself to use on her bed in the summertime. Here is a close up of the fabric and quilting. You can see the bee’s in the center fabric, they are so cute! I used Flirtatious for the panto, a grey Lava Thread and Quilters Dream Blend batting.